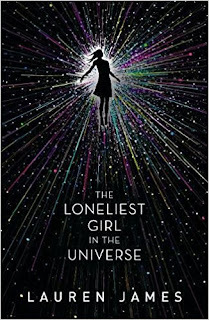 Today I have a new book review for the tense and clever psychological thriller The Loneliest Girl in the Universe by Lauren James, a romance set in space from the beloved author of The Next Together series. 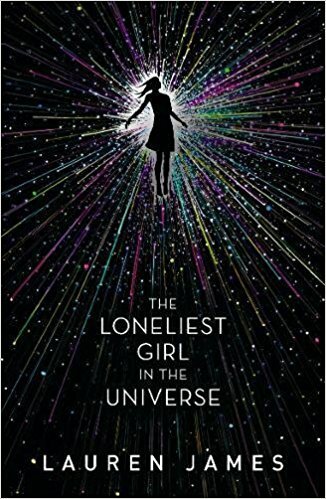 Blurb: Can you fall in love with someone you’ve never met, never even spoken to – someone who is light years away? Review: let me start with... wow! This is one of the best psychological thriller I've read this year. When I first started reading this story I was pretty sure there would be a big romance with some tension... I was NOT prepared for what really happened. What a clever, well written, compelling and addictive story. The build-up tension during the whole story is just perfect, you really don't know what is going on until you are in the middle of the action, holding your breath, completely absorbed in the story, devouring page after page until the early hours of the morning. It had been a really long time since a book had put me in such a stressful state. Also, how original and unique is the idea behind this novel? It's set in the near future, when NASA has sent a spaceship into the deep space to reach a viable planet for humanity to develop. Romy happens to be only survivor left in that spaceship and, somehow, it's really easy to relate to her, even if she has never been in the Earth. I loved getting to know her and I surprised myself at how much I cared about her. Definitely a very well developed character. I highly recommend this book to readers who enjoy a good thriller. Believe me, this story will surprise you, will shock you and will completely capture you!